German investment fund Patrizia is believed to be sale agreed for Lucan Shopping Centre - anchored by Super Valu - for well over the €40m asking price. Two other Super Valu's at Ranelagh and Rathgar are understood to be sale agreed for more than €12m a piece. The three properties formed part of the SV4 Collection which went on sale earlier this year. The other part of that portfolio in Waterford is yet to sell. Industry sources believe the three properties that have deals in place are likely to sell at a yield of less than 5%. That sort of yield would imply a sale price for the three properties of closer to €70m. The properties are being sold by Starwood Capital, Key Capital Real Estate, and Catalyst Capital. The investment firms took control of the properties when they bought the Project Aspen portfolio of loans which were sold by Nama in 2013 on behalf of David Courtney, Gerry O'Reilly and Terence Sweeney. Savills, which is managing the sale, declined to comment. Musgrave Group trading as SuperValu underpin 68 of the overall income across the four shopping centres. Lucan Shopping Centre is the dominant property in the portfolio. It is an established neighbourhood centre completed in 1991 extending to 129,252 sq ft. The scheme is situated in what Savills described as a "vast catchment area" and is anchored by SuperValu, while Dunnes Stores hold a long leasehold interest over their store and pay a nominal rent. The annual passing rent is €2,695,934 per annum. 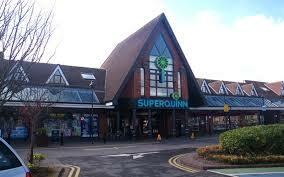 SuperValu accounts for 59% of the overall rent and the scheme has a weighted average unexpired lease of 11.8 years. Other notable occupiers within the scheme include McDonalds and Starbucks. SuperValu Ranelagh is a busy scheme positioned in the centre of Ranelagh village close to the Luas station. The entire building extends to 25,433 sq ft with extensive ground floor retail accommodation of 9,987 sq ft. Gym chain FLYEfit occupy the upper floors. The property provides 42 surface car parking spaces and the entire property is situated on a site extending to approximately 0.62 acres. The passing rent of the property is €738,255 per annum and the WAULT is 13.75 years. SuperValu Rathgar is a mixed-use investment opportunity positioned at the busy crossroads of Rathgar Road, Terenure Road, Orwell Road and Highfield Road. The scheme incorporates 25,791 sq.ft of commercial or residential accommodation. This is a modern scheme providing retail at ground floor, with a mix of offices and residential apartments on the upper floors. There are 20 basement and four surface car parking spaces. The scheme also incorporates a vacant site to the rear zoned and a standalone two storey building occupied by Runzone and Accounts Assist. The passing rent of the scheme is €748,080 per annum.